Is there an easy way to re-image a Wyse 9450 Thin Client? Wyse 9450 Motherboard Jumper Settings for Auto Power On? What BIOS version are you guys using for 5710? How can I delete Remote Desktop Connection? [ Poll ] T5710 1.2GHz - has two flavor CPU's - which is yours? Mj not working getting "No network... error 9"
Anyone running Windows Media Center on their HP thin client? I need THIN CLIENT info. What should I look for? HP thin clients, reboot after power failure? Web cam? Latest MJ upgrades require Thin Clients with 512/512 memory? Canadian source for flash memory, thin client? There are thin client alternatives. Good price for an T5730??? 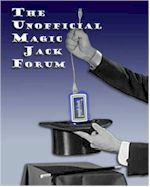 With EWF active will RAM fill up and crash if not commited..
Magicjack and thin clients - what's the purpose? And another Thin Client website . . .